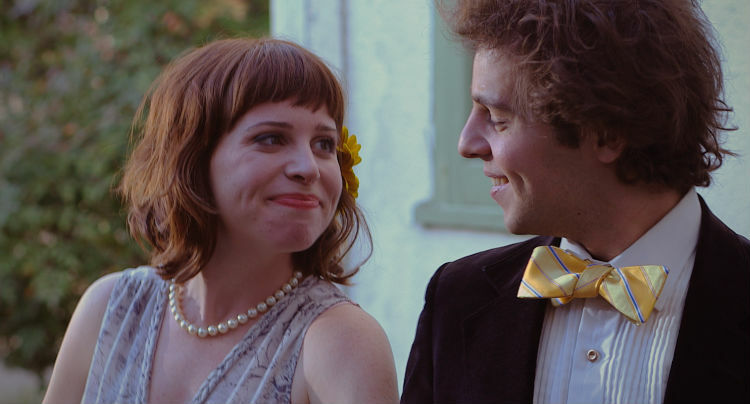 Playing at the San Francisco Jewish Film Festival tomorrow night at the California Theater in Berkeley, Austin-based filmmaker Steve Mims’ Arlo & Julie is a quirky indie comedy about the titular couple, who begin receiving mysterious jigsaw puzzle pieces in the mail. More optimistic than your typical suburban indie, the film uses elements of mystery and light-hearted humor to make for a fun, easily-digestible experience. 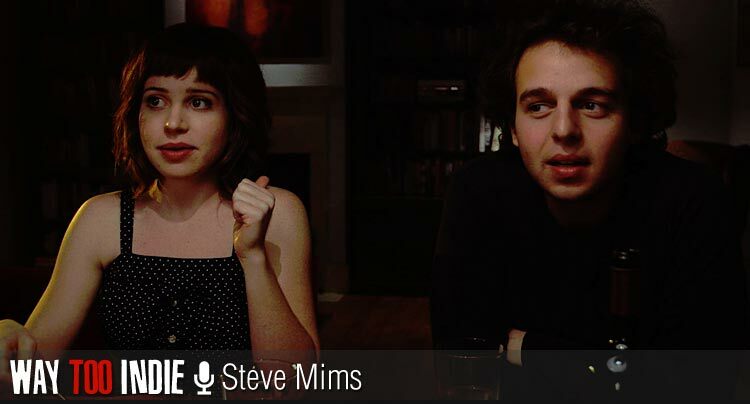 Steve spoke with us about the project’s origins, the film’s unique comedic tone, finding his actors, the film’s unique mix of genres, and more. See Arlo and Julie tomorrow night, August 2nd, at 8:55 at the California Theater in Berkeley. You filmed in Austin, correct? Steve: Correct. We filmed in Austin and a little bit in West Texas. I had a great time shooting a short with the main actor, Alex Dorbrenko. I talked to him about this idea I had: What would happen to you if you found a piece of a puzzle in the mail and you just kept getting them? My thought was that initially you’d be dismissive, but eventually you’d reach a point where you wouldn’t be able to think about anything else. I started writing it for him to be the main character, and he introduced me to Ashley Spillers, so I started writing it for both of them. All of the other actors came through those two, because they knew a lot of people in the area from working here for a long time. The script got populated with actors that they worked with before. I wrote the script over about six months. Ashley and Alex are so sweet in the film. Are they like that in real life, and did their personalities inform the tone of the film? Steve: They are a lot like their characters. Ashley’s super charming. You don’t run into people who really have something special all the time, but she has that. The tone of it? It’s obviously a lightweight film. Certain things resonate with people in terms of the embedded issues of truthfulness, but on the whole, you can’t make a movie about people putting a jigsaw together and have it be anything other than fun. To me, the movie closest to this in tone is Stolen Kisses from 1968. If you haven’t seen that movie…you’ve got to see it. It’s really inventive and fun. The puzzle and the painting that’s involved in the film’s plot are two very striking visual latching-on points. Steve: I had the idea for the puzzle for a while, and for the painting, I thought it had to be something abstract. I wanted to have it somehow connected to what the characters are going through. We had people on the crew who worked almost full-time trying to put that puzzle together. It’s an abstract puzzle, so there aren’t a lot of edges that you can find to help you along. It drove people crazy. It was 2000 pieces. In reality, Arlo and Julie would have never put that thing together, because we had a team of people working non-stop on that thing! This film is a mystery, a comedy, and a romance all in one. It’s a great mix for an indie film. Steve: Thanks so much. I think people have an expectation of what an independent movie is, and I think that’s why the movie’s done so well. People are caught off-guard by the nature of the movie itself. People laugh as well, which is nice. There’s a very peculiar tone to the film’s humor, and everyone in the cast seems to understand it. Steve: I’m super lucky. Mallory Culbert, who plays Trish, is really sharp and funny. Her boyfriend in the movie, Hugo [Vargas-Zesati], is also great. They’re the type of actors who can do something five ways and all five ways are really good. The most experienced guy in the movie is Chris Doubek, who plays the mailman. He’s the real deal, and he was terrific. The tempo of the film is fast, with the beats in the dialogue being pretty rapid. It’s not that naturalistic; hopefully it sounds natural, but you can’t really drag these jokes out. It was fun. The ’20s soundtrack is really great. Did you always have it in mind? Steve: From the beginning. I was editing the film, too, and I was putting these pop tracks from the ’20s in there. I’m a big fan of that music. There’s a program here in Austin about that music that I listen to every week. Also, Arlo is a historian, so he sort of lives in the past. There’s a visual motif in the movie with a gramophone, and there’s a DJ in Austin who you can hire to use her gramophones and 78s. That music is obviously old, so we wanted to plant that seed early on in the film of, somehow in the logic of this movie, this is where it’s coming from. How excited are you to screen at the San Francisco Jewish Film Festival? Steve: We’re so thrilled! It’s such an honor, and I can’t wait to get there. It’s going to be such a blast. I’ve been so busy working that I haven’t had time to mention it, but we’re all super excited to be there.